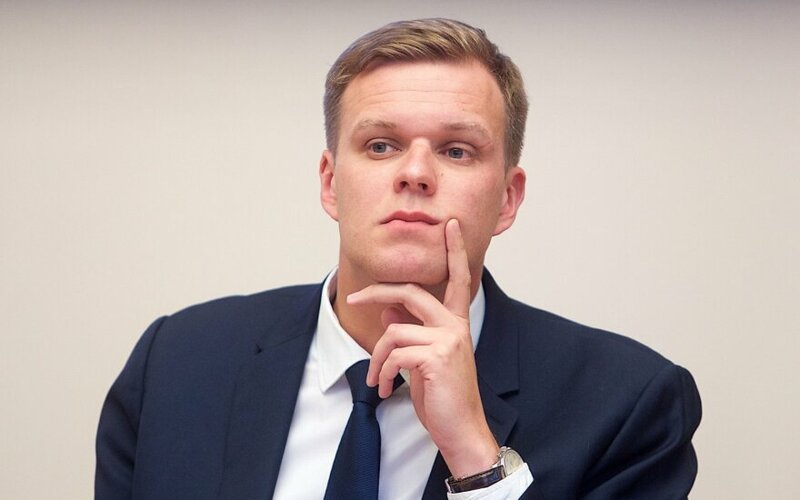 MEP Gabrielius Landsbergis, the leader of the conservative Homeland Union - Lithuanian Christian Democrats, says he will definitely run in this year's general elections, refuting earlier suggestions that there might be conditions for his giving up a seat in the European Parliament for one in the Lithuanian Seimas. "My position is clear enough - I will run for the Seimas. I have never considered the option not to run, especially since I'm a candidate at the Žaliakalnis-Centras single-seat constituency," Landsbergis said in a letter addressed to members of the Homeland Union. Landsbergis, who is a member of the European Parliament and was elected the party leader last year, was asked by reporters last week about his plans for the general elections this October. Running for the Lithuanian parliament would mean losing his seat in Brussels. Landsbergis then said his plans depended on whether or not he would be given the top spot in the party's candidate list. "If the party entrusts me with leading the list, I will then return from the European Parliament to lead the list. It is more of a theoretical question at the moment, but I leave it at that," he said last Friday. Asked to specify whether he would still run, if the party did not put him on top of the candidate list in the multi-member constituency, Landsbergis then said: "It is too early to talk about that."